Citing a lack of fairness in the state’s tax system, the city of Missoula is asking its legislative delegation to push for property tax reform when the session opens next month in Helena, and to fight for creation of a local option sales tax. And it won’t be alone in doing so. The state’s current tax system is broken, elected officials believe, and property holders are bearing a heavy burden. Municipalities across the state are falling behind in their effort to maintain costly services. In a meeting this week with Missoula’s legislative delegation, Bickell said Missoula has seen a 30 percent increase in population since 1993, and its boundaries have expanded 108 percent. Police calls for service are up 28 percent since 2008 alone, while calls to the fire department have increased 40 percent. The number of street miles have increased 7 percent over that time. Service costs have also climbed. Despite a recent building boom, Bickell said, the city’s tax base hasn’t expanded at the same rate that it did prior to the 2008 recession. That rate is now half of what it was a decade ago, he said. Over the past decade, the percent one pays in property taxes compared to their income has ballooned. For those making less than $20,000 a year, more than 5 percent of their income now goes to property taxes, Bickell said. That has led to a growing number of disgruntled voters. This year’s delegation heard similar concerns when campaigning ahead of the November election. While a number of issues came up, property taxes dominated the concerns of residents. Barrett said the concerns aren’t unique to Missoula. Other Montana cities have seen property taxes climb to unprecedented levels, including Bozeman and Kalispell. In Missoula, the top quarter of properties saw their taxable values increase on average 40 percent over the last 10 years. The reasons for that increase are many, Barrett said, though the state’s current appraisal system may be the largest culprit. Even if the city didn’t raise taxes to cover services, he said, a large number of residents would still see their tax bills climb. 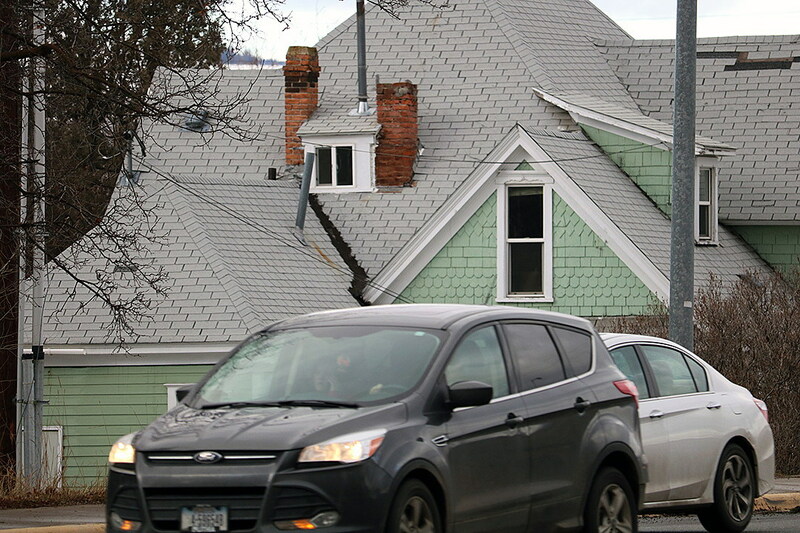 The city of Missoula has outlined a number of legislative goals to deal with taxation, including more transparency in the state’s appraisal process. It’s also seeking to cull further erosion of the tax base. A tourism tax, or local option tax that includes “meaningful relief” for property taxes, is also on the radar. If Missoula County had a quarter-cent sales tax in 2016, it would have generated $5.6 million, according a report released this year by Garner Economics. A city survey found that 65 percent of Missoula residents would support a tourism tax, so long as it went to property tax relief. State law currently allows communities with populations under 5,500 people to adopt such a tax on lodging, car rentals and liquor, among other items generally consumed by tourists. The communities of Whitefish, West Yellowstone and Big Sky have adopted the tax to pay for a number of needs, from emergency services to roads and parks. But passing similar legislation for larger cities has been a tough sell in Helena in past years. One bill this session could expand that authority to so-called “gateway communities” like Bozeman and Kalispell, though it would leave other cities out, raising questions of equity. Barrett also plans to introduce what he calls a “circuit breaker” bill. It would essentially cap the to a certain percent the amount of property taxes a household pays compared to income. Under one scenario, a household would pay 15 percent of its property tax and a percent of the remaining 85 percent. However, the bill would reduce state tax revenue by roughly $110 million.